Nashville Mayor Karl Dean laid the first brick at Casa Azafran. Photo by Conexion Americas. Used with permission. 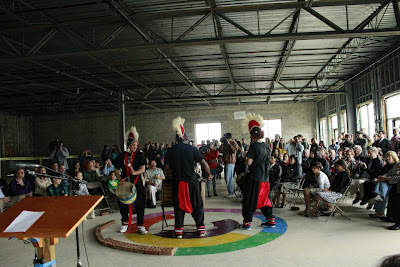 April 21, 2012 marked the official groundbreaking ceremony for Nashville, Tennessee community center Casa Azafrán. 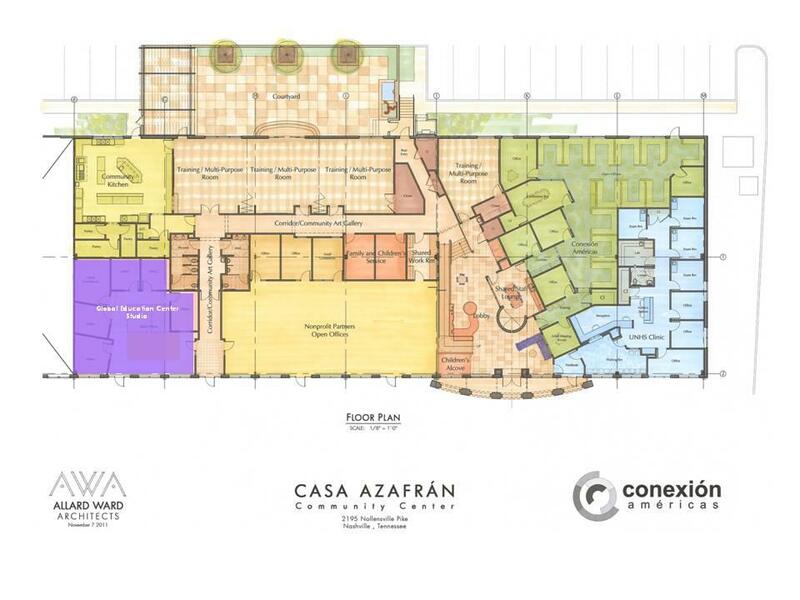 Located at 2193 Nolensville Pike and set to officially open its doors later this year, Casa Azafrán will offer services for the state’s growing immigrant population. Despite the rainy and unseasonably cool April weather, many community members came out to support Conexión Américas and its partners in this exciting venture. Upon my arrival to the event, I was immediately met with many friendly and familiar faces from the surrounding Nashville area. After an opportunity to meet and greet and drink delicious Rumba Roast coffee, the ceremony commenced with beautiful music from singer, Rachel Rodriguez. Rachel’s music left the audience with an inspiring message of unity between Nashville’s immigrant and resident communities. 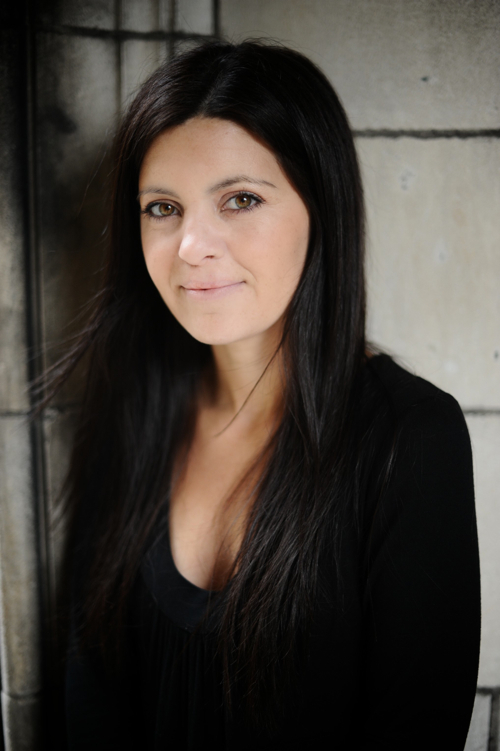 Rachel’s lyrics, “I’m coming home” are perhaps both symbolic for immigrant reconciliation of ethnic identity in a new country and for Casa Azafrán’s theme of “mi casa es tu casa” (my house is your house). David Esquivel, member of the Conexión Américas’ board of directors and son of Cuban parents, provided the opening word. 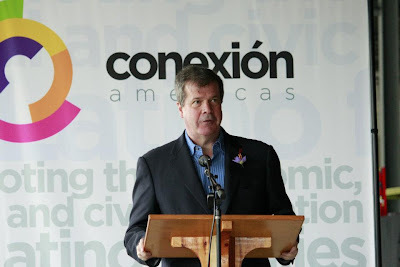 Other speakers during the ceremony included Mayor Karl Dean, Nashville Symphony Maestro Giancarlo Guerrero along with his wife, Shirley Guerrero, founders of Conexión Américas, José González and Renata Soto, and Ambassador of Costa Rica in Washington D.C., Muni Figueres. The Guerrero Family with Muni Figueres, Ambassador of Costa Rica to the United States, who attended and spoke at the celebration. 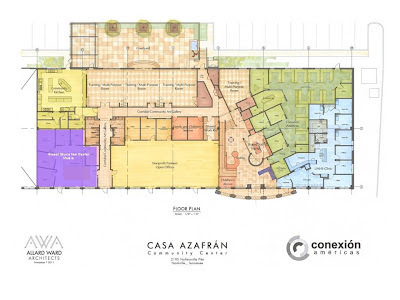 José González, co-founder of Conexión Américas, pointed out the planning for community center, Casa Azafrán began in 2007. The five million dollar project has managed to raise half of their funds to date. Renata Soto, co-founder of Conexión Américas, elaborates on the name “Casa Azafrán.” Azafrán - the Spanish word for saffron - is the world’s most expensive spice. This name is symbolic for the community center’s founders for several reasons. For one, the extraordinary amount of manual labor by many individuals required in the production of saffron is symbolic of the connection between the future community center’s employees, partners, volunteers, community supporters, and immigrant community members who work together to improve the quality of life for all. 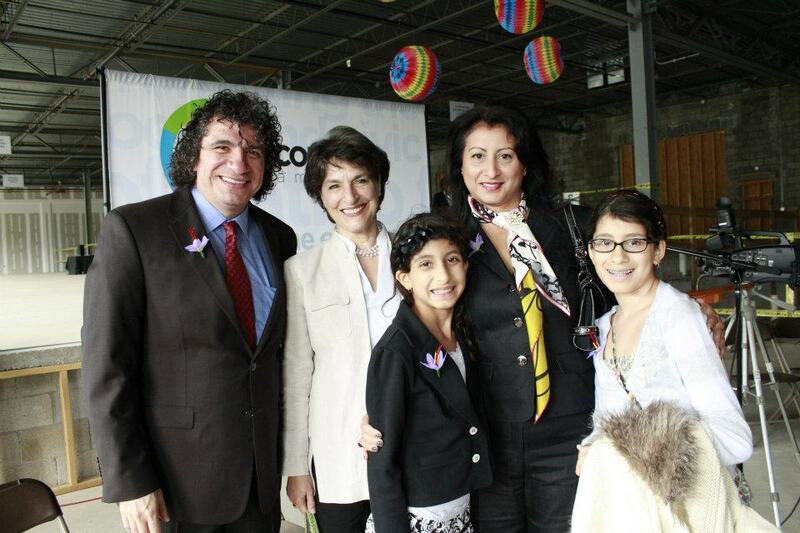 Furthermore, by choosing the name “Azafrán,” whose etymology echoes Persian and Arabic words, the community center both recognizes the Islamic and Arabic roots of the Spanish-speaking world and reinforces its mission to be an inclusive, welcoming place for immigrants of all backgrounds in Nashville. Graphic courtesy of Conexion Americas. Used with permission. Mayor Karl Dean began his speech with a well said, buenos días to his largely bilingual Nashville audience. Dean adamantly supports Casa Azafrán as he believes it will help to bridge downtown Nashville with its growing immigrant community. Furthermore, Mayor Dean stated, “Opening doors, not closing doors” is necessary for improving our city.” Finally the mayor added, “I know the community center will do great things for our city.” Mayor Dean concluded his speech by laying the first brick on the floor of Casa Azafrán. This symbolic gesture was followed by several others who each laid a brick on the floor of the community center, completing the circle around the Conexión Américas emblem, symbolizing both unity and community support. Other members who took part in this gesture were: the Guerrero family, Ambassador Figueres, the Esquivel family, José González, community members who have been recipients of services from Conexión Américas, and Renata Soto. 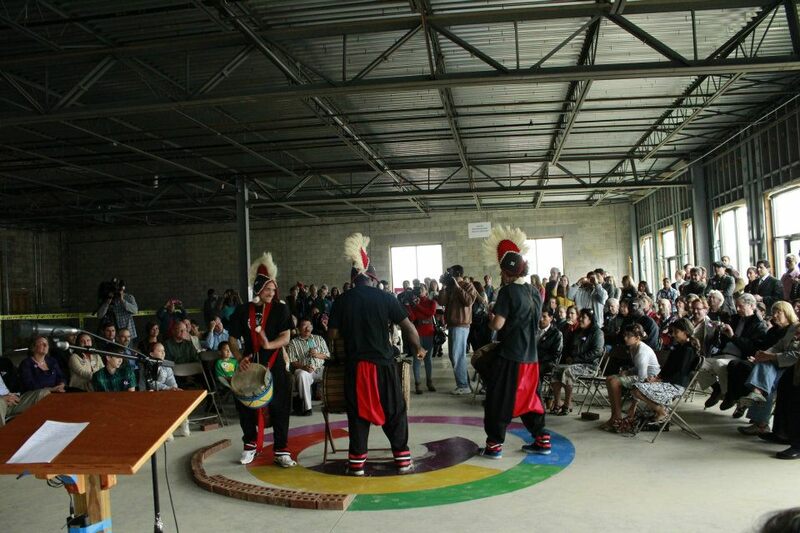 While the day’s ceremony focused on the groundbreaking of the future community center, also worth noting is that Conexión Américas is currently celebrating its tenth anniversary. The energy in the atmosphere during this extremely well executed groundbreaking ceremony was contagious. As a former immigrant for a brief time in Costa Rica, I was overwhelmed with excitement and pride to be in the presence of such prominent and inspiring Costa Ricans as Ambassador Figueres, Renato Soto, and the Guerrero family. Their hospitality at the day’s event was outstanding and I humbly thank them and others for taking their time to talk to me. If the display of unity, acceptance, pride, and respect found during this ceremony for Casa Azafrán is any indication for the community center’s future success, it suffices to say that the positive prospects are indeed immeasurable. Let’s all continue to do our part in supporting Casa Azafrán!